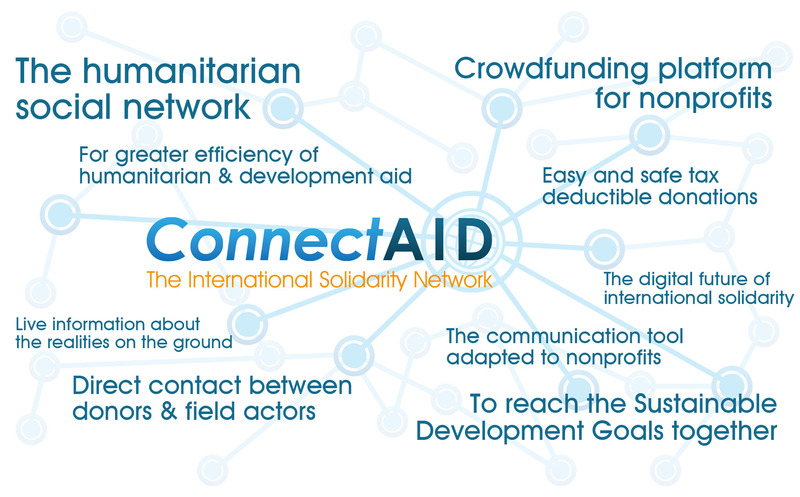 Developed by specialists in humanitarian & development aid and computer programming, ConnectAID will function as a combined social network and donation platform dedicated to humanitarian aid and sustainable development around the world. On its innovative crowdfunding platform, ConnectAID will make it easy and safe for anyone to sustainably support a nonprofit project directly impacting the populations in need. International organizations, non-governmental organizations (NGOs) and nonprofit associations will find the tools they need to communicate and inform an involved audience about the realities on the ground. Members will have access to live updates from local projects, news, emergency alerts, career or volunteer opportunities. Over time, they will have the opportunity to visit the local development project they support. Our goal is to connect people, nonprofits, international organizations, foundations and companies to contribute to the Sustainable Development Goals set by the international community to end poverty, support those affected by conflict and disaster, and build a global partnership for development.